Is someone on your gift list just learning to sew? 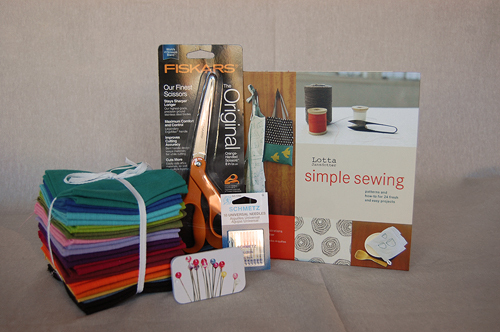 We’ve got some very good beginner books, including one of our favorites shown above, Simple Sewing by Lotta Jansdotter. Throw in a good pair of scissors, some needles, pins and a nice bundle of fat quarters and you’ve got an excellent gift for your favorite rookie!